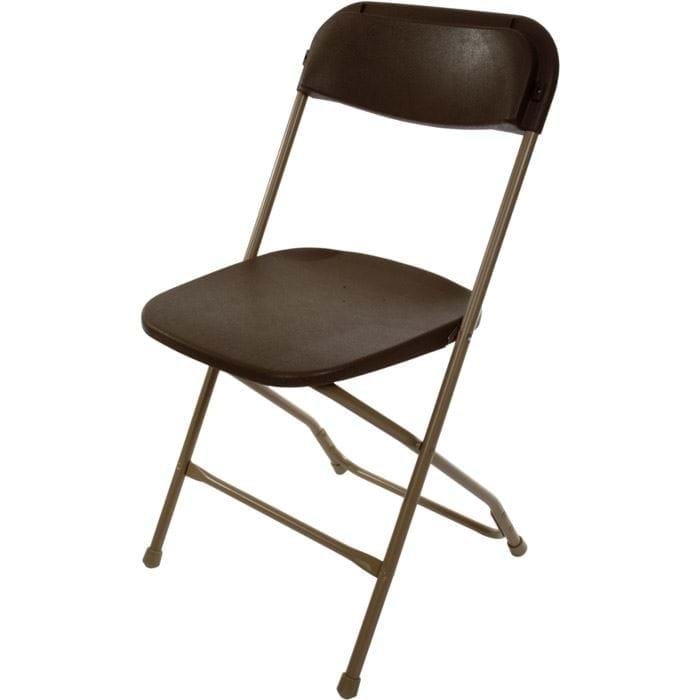 NES Reliable Brown on Tan Plastic Folding Chairs are a great choice for your indoor or outdoor seating needs. These folding plastic chairs were one of the original best- selling colours from Samsonite and are used extensively in Tool and Equipment Rental companies because they are so easy to keep clean. As a result, they are also used in community centres, churches and many other general purpose seating environments. With a tan powder-coated 18 gauge steel frame and chocolate brown virgin plastic seat and back, NES Reliable Brown on Tan Plastic Folding Chairs are a cost-effective yet durable seating choice. 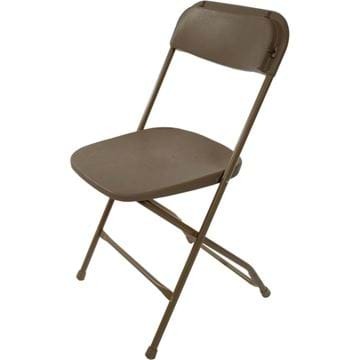 NES Reliable Brown on Tan Plastic Folding Chairs stack quickly and easily making set-up and take-down a breeze. These chairs will also inter-stack with most major brands like Samsonite, Resilient, Palmer Snyder and McCourt Manufacturing protecting your existing investment in other plastic folding chairs. Usable in almost any environment, NES Reliable Brown on Tan folding plastic chairs are water-proof and stain resistant for easy cleaning and maintenance. 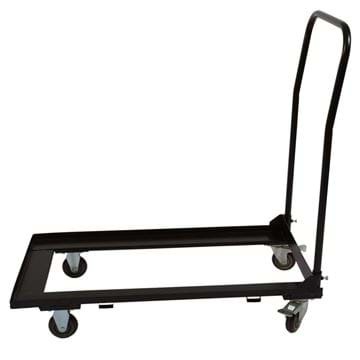 The feet of the chairs are covered with an anti-skid rubber foot which also resists marking floors.